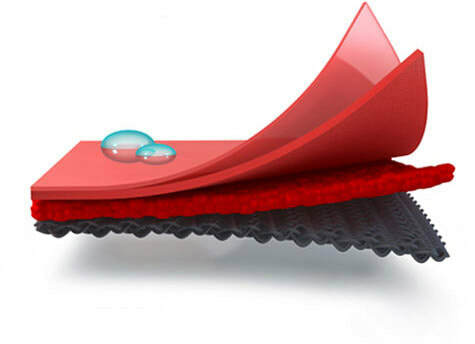 THE SUSTAINABLE ALTERNATIVE TO TOXIC PVC VINYLS AND CHEMICAL TREATED LEATHER. ULTARALEATHER (BRISA & ULTRATECH) is an innovative high performance fabric collection made of polyurethane designed to replace leather and PVC vinyls and do away with toxic VOC emissions which are harmful to human, environment and naturally animal cruelty-free. High-traffic environments demand durability. Abrasion Plus delivers up to 10 times the industry standard of abrasion resistance with 200 000 - 400 000 rubs. Years in the making and subjected to continuous testing, Ultraleather was developed to raise the bar on performance and ease of care, without sacrificing softness and beauty. 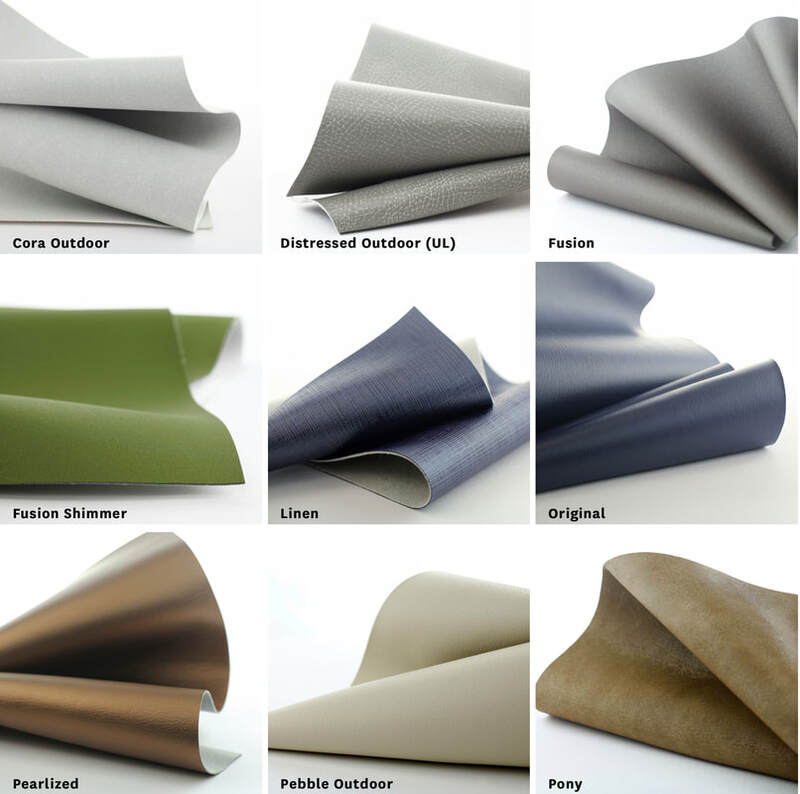 Conceived to inhibit the growth of bacteria and other microbes, Ultraleather are engineered with EPA-registered technology for healthier environments. PVC-free and easily maintained with alcohol-based cleansers and disinfectants, this provides perfect protection for demanding settings in healthcare, hospitality, corporate, and other high-traffic markets. Ultraleather are engineered with a premium, proprietary ventilation system of microscopic pores. 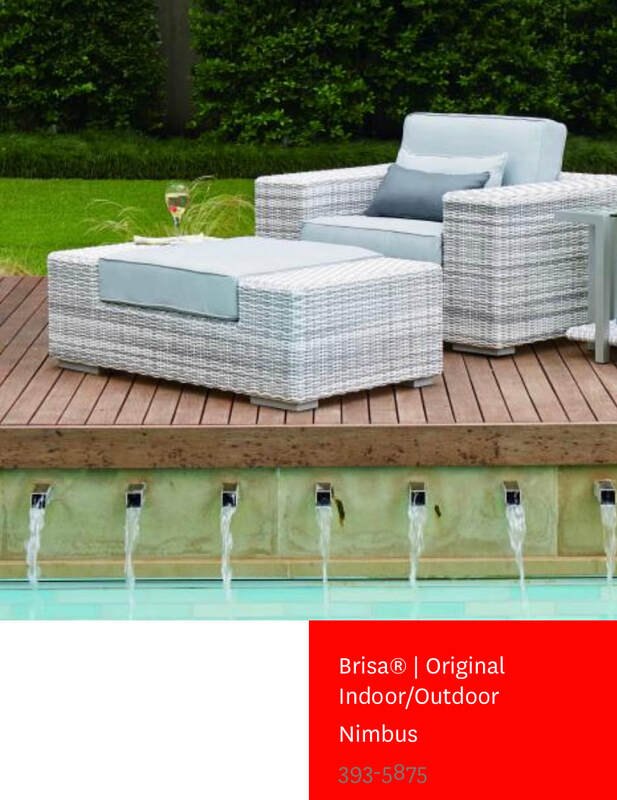 This innovation enhances softness and promotes the circulation of air for the highest level of seating comfort. 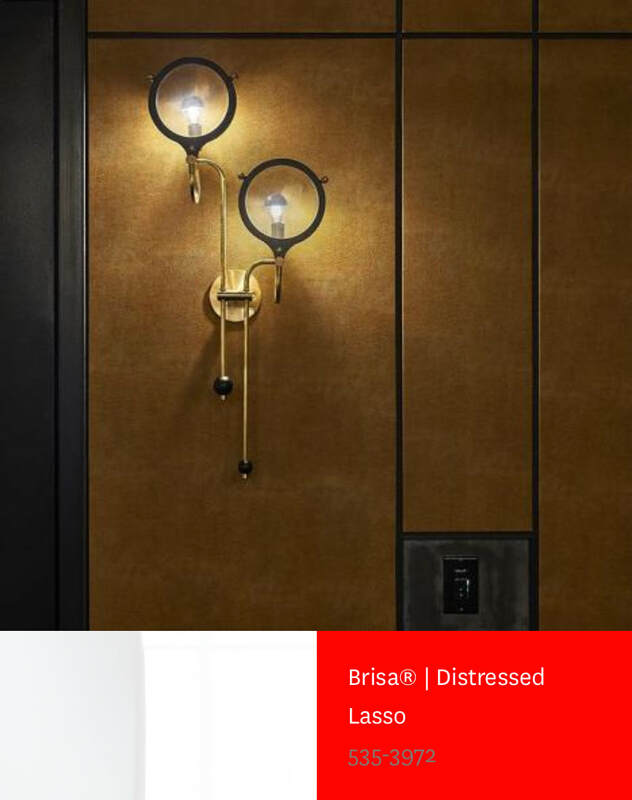 The material's cellular structure delivers the added benefits of sound absorption. Aesthetics, durability and functionality combined in one uniquely intelligent fabric. Designed for dynamic living, Ultraleather unites repellency and cleanability features in one innovative fabric. Small accidents happen in the form of ballpoint pens, red wine, mustard, denim dyes, and more. Ink & Stain technology including its EPA-registered antimicrobial protection, results in fabrics with beauty that lasts in the busiest of environments. With its incomparable haptics. Techstyle is the result of ingenious engineering: combining design, tactility and performance. Created with a premium, matte aesthetic and a subtle textile-like feel. Developed with the effects of Mother Nature in mind, Ultraleather Outdoor represents comfort and protection intertwined in one fabric. Resilient and high performing, these Ultraleathers repel chlorinated plus salt water and withstand fading and spotting. Engineered with EPA-registered antimicrobial protection against mildew, bacteria and other microbes, Ultraleather outdoor provides lasting beauty, no matter the season or forecast. 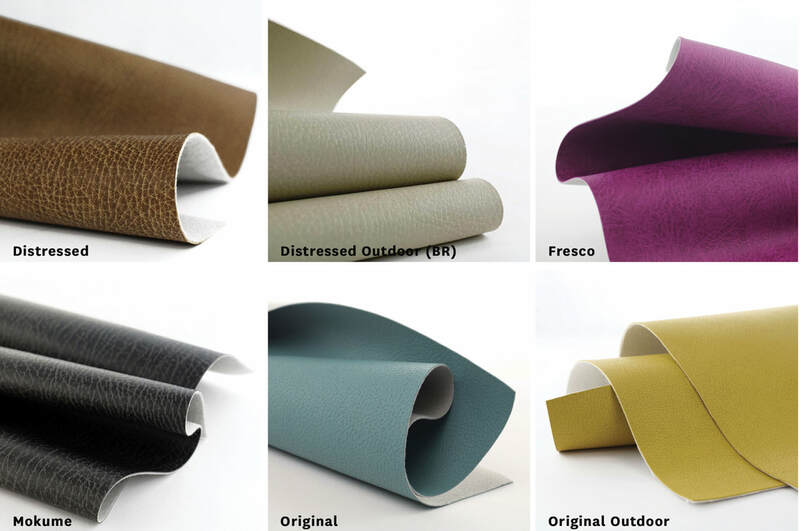 Visit after visit, year after year, Ultraleather soft, high performance fabrics offer limitless design possibilities for guest rooms, lobbies, bars, restaurants, fitness centers, spas, pool areas and beyond. Top specifiers and designers trust our fabrics for seating, acoustical panels and other upholstery applications. From new innovations to custom creations, we hold ourselves to a standard beyond the ordinary, engineered to meet the demands of busy hospitality environments. 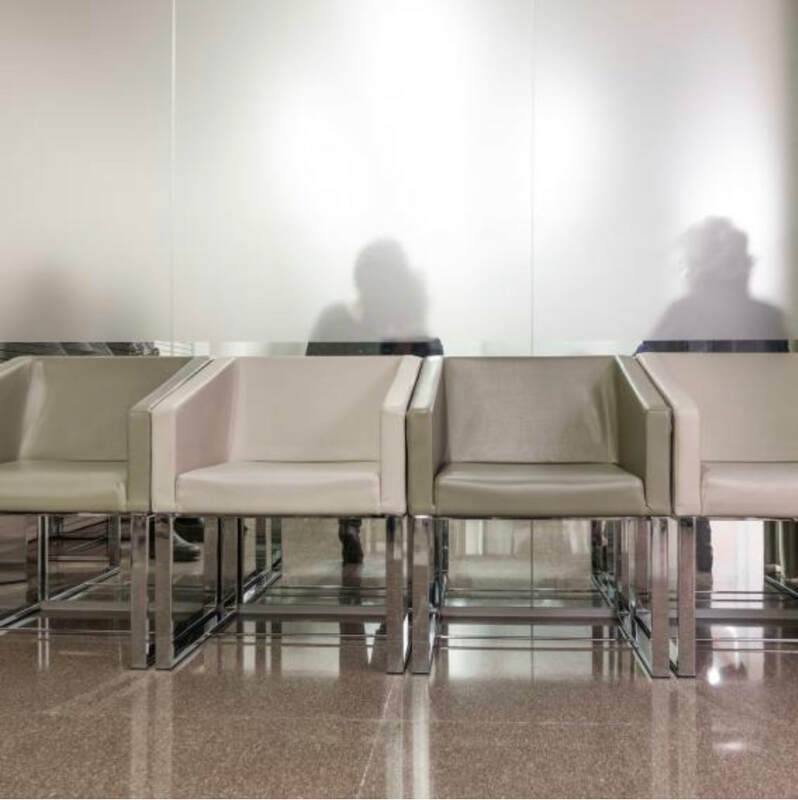 Trusted by specifiers and designers for doctor's offices, patient rooms, waiting rooms and cafeterias. 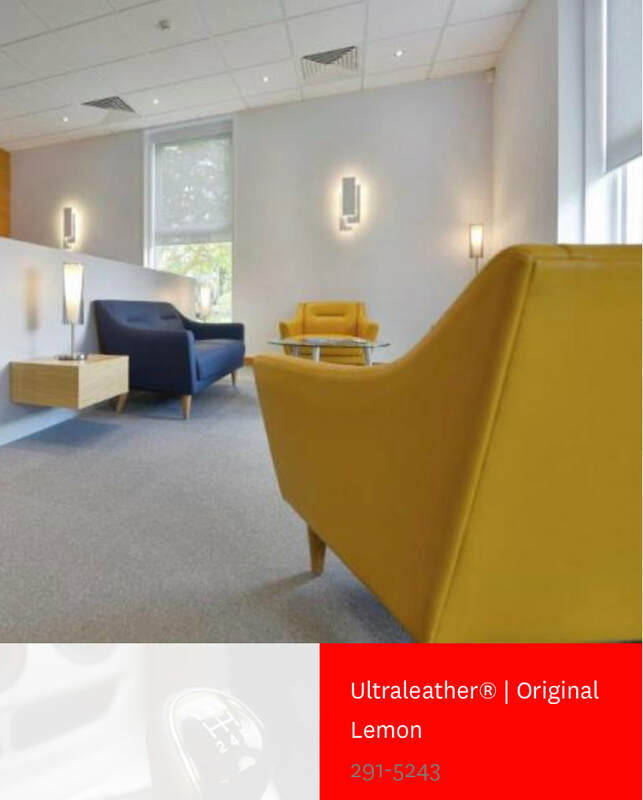 Ultraleather unrivalled polyurethane fabrics have been proven to endure the demanding rigors of such environments while providing the utmost softness. 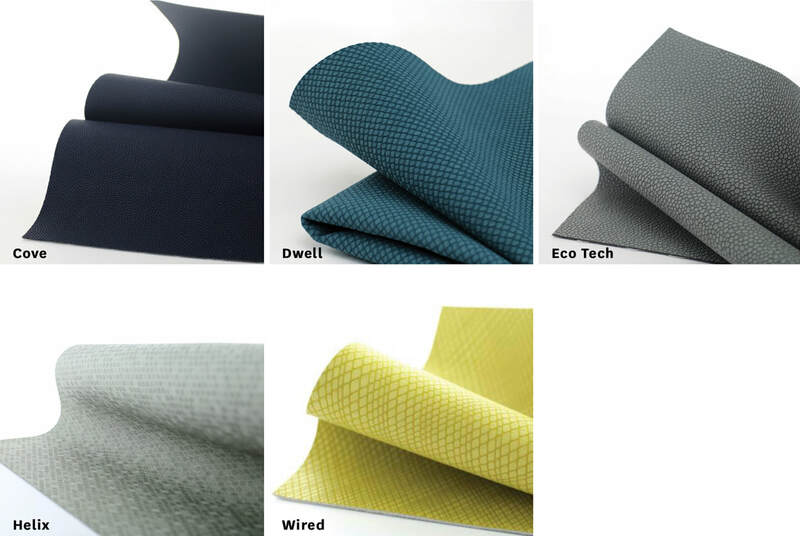 Our reputation for offering intelligent answers to the stringent demands of the industry has landed our high-performance fabrics in a myriad of healthcare settings, ranging from seating to acoustical panel applications. 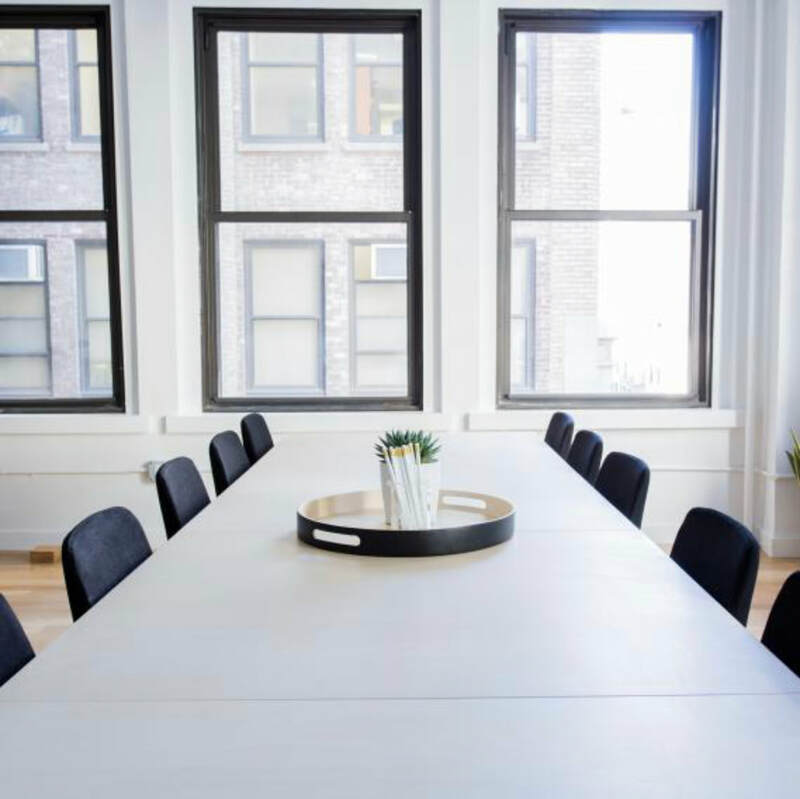 From seating to acoustical applications, Ultraleather soft performance fabrics offer dynamic solutions that inspire high-functioning work environments, making us the trusted choice of leading furniture manufacturers for commercial installations. We hold ourselves to a standard beyond expectations, engineering high quality polyurethane fabrics that bring together aesthetics and durability, creating innovative fabrics that answer the demands of the modern workplace. Ultraleather outdoor performance fabrics are designed to weather the elements of an active marine lifestyle. 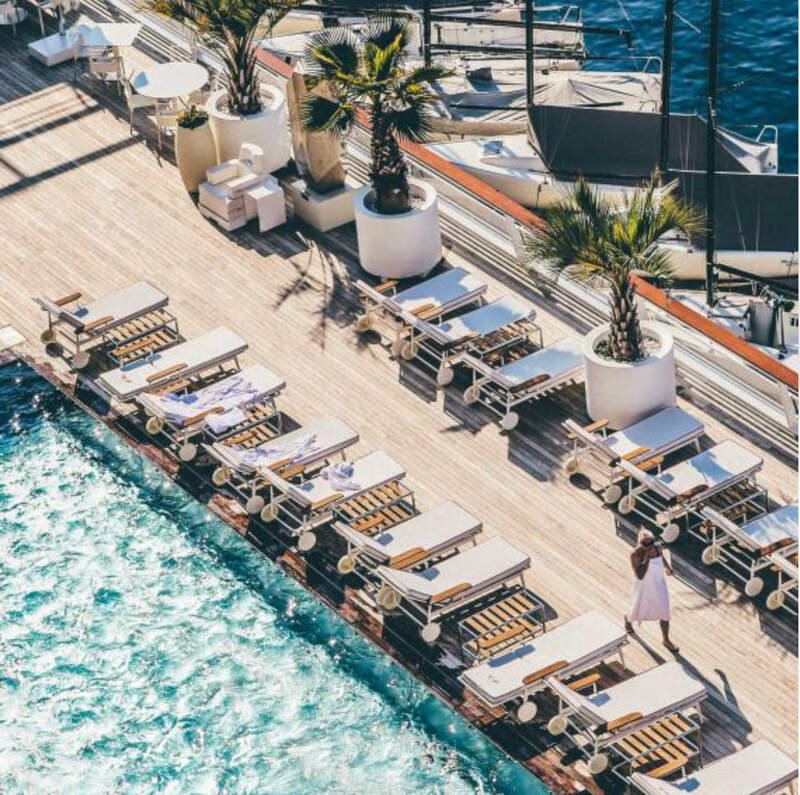 Ideal for cruise ships, powerboats, yachts, cruisers, fishing and pontoon boats, applications include seating, headliner, wall covering and other accents. From new innovations to custom creations, we hold ourselves to a standard beyond the ordinary. 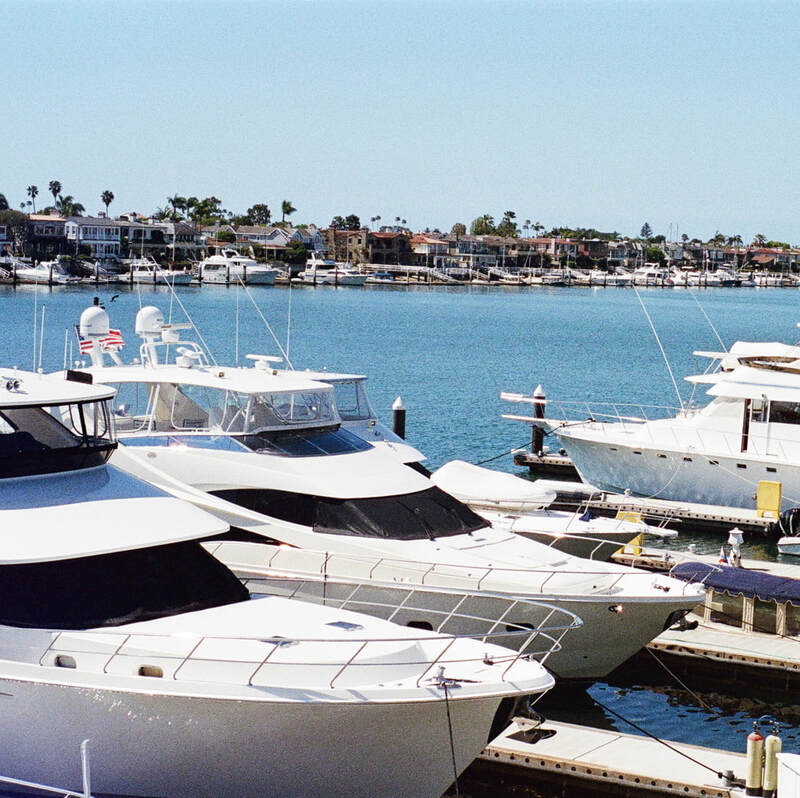 Our durable fabrics are engineered to meet the rigors of boating life. 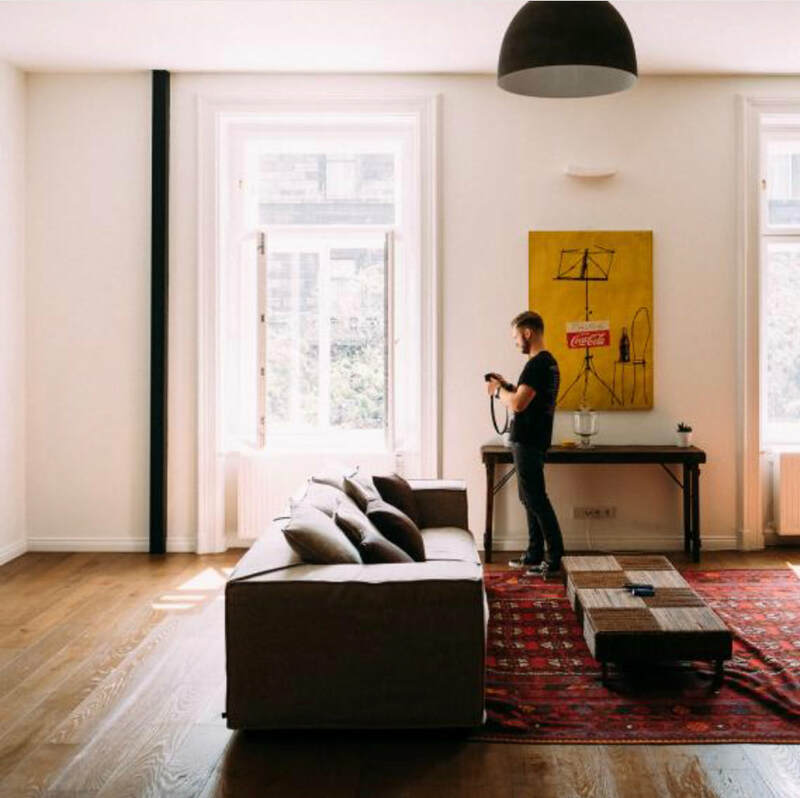 When it comes to personal space, your customer requires versatile options that are ready to tackle everyday living - be it kids, pets or entertaining. With Ultraleather, we deliver a portfolio of inspiring choices that provide the ultimate in comfort and durability, whether for the kitchen, family room, home office, or the patio. Designed with consumers and their demanding lifestyles in mind, our high performance polyurethane fabrics are ideally suited to meet the rigors of active lifestyles, with a softness you must feel to believe.